Supportive Housing - ACHIEVE Human Services, Inc. ACHIEVE Human Services receives funding from the Arizona Department of Housing and Arizona Complete Health to provide rental assistance to individuals with disabilities and who are experiencing homelessness. ACHIEVE Human Services follows a ‘Housing First’ model which is a recovery-oriented approach to ending homelessness that centers on quickly moving people experiencing homelessness into independent and permanent housing and then providing additional supports and services as needed. 1. Immediate access to permanent housing with no housing readiness requirements. Housing First involves providing clients with assistance in finding and obtaining safe, secure and permanent housing as quickly as possible. Key to the Housing First philosophy is that individuals and families are not required to first demonstrate that they are ‘ready’ for housing. Housing is not conditional on sobriety or abstinence. Program participation is also voluntary. 2. Consumer choice and self-determination. Housing First is a rights-based, client-centered approach that emphasizes client choice in terms of housing and supports. 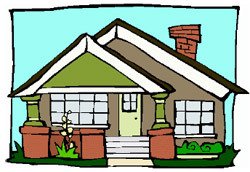 Housing - Clients are able to exercise some choice regarding the location and type of housing they receive (e.g. neighborhood, congregate setting, scattered site, etc.). Choice may be constrained by local availability and affordability. Supports – Clients have choices in terms of what services they receive, and when to start using services. 3. Recovery orientation. Housing First practice is not simply focused on meeting basic client needs, but on supporting recovery. A recovery orientation focuses on individual well-being, and ensures that clients have access to a range of supports that enable them to nurture and maintain social, recreational, educational, occupational and vocational activities. 4. Individualized and client-driven supports. A client-driven approach recognizes that individuals are unique, and so are their needs. Once housed, some people will need minimum supports while other people will need supports for the rest of their lives (this could range from case management to assertive community treatment). Supports may address housing stability, health and mental health needs, and life skills. It is important to remember that a central philosophy of Housing First is that people have access to the supports they need, if they choose. Access to housing is not conditional upon accepting a particular kind of service. Housing models that do not stigmatize or isolate clients. This is one reason why scattered site approaches are preferred. Opportunities for social and cultural engagement are supported through employment, vocational and recreational activities. ACHIEVE Human Services subscribes to the Evidenced Based Practices of Permanent Supportive Housing. How does Permanent Supportive Housing work? Permanent Supportive Housing staff offers flexible, voluntary services designed to help people choose housing that meets their needs, obtain and pay for that housing, and keep the housing for as long as they choose. Housing meets standards for safety and quality established by local, state, and federal laws and regulations. Housing is similar to what is available to others at similar income levels in the community. Tenants typically pay 30 percent of their income toward rent plus basic utilities. The remainder is paid either by tenant-based rental assistance, which tenants can use in housing of their choice, or project-based rental assistance, which is linked to a specific location. Tenants sign a standard lease, just like any other member of the community, giving tenants the same legal rights. Continued tenancy is not subject to any special rules or participation in any particular services. Tenants’ homes are located throughout the community or in buildings in which a majority of units are not reserved for people with disabilities. Tenants have opportunities for interactions with the community.